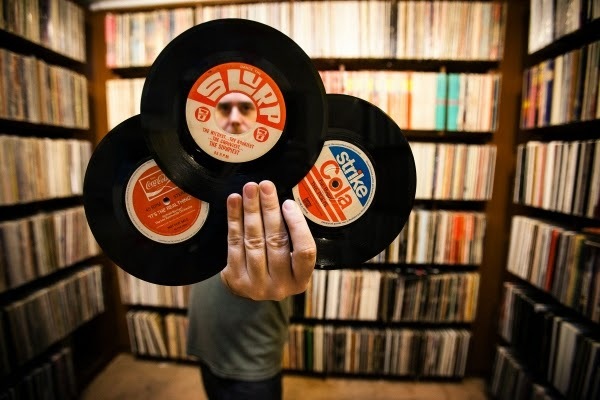 Splug Offers Record Collectors Chance To Trade and Barter Smarter! It is estimated that close to half a million businesses in the US are involved in some form of barter exchange. Additionally, there are an estimated 400 commercial and corporate barter companies serving all parts of the world. In its simplest form, bartering is a method of exchange in which goods or services are directly exchanged for other goods or services - without using a system of exchange, such as money. For bartering to occur between two people, both would need to have what the other wants. 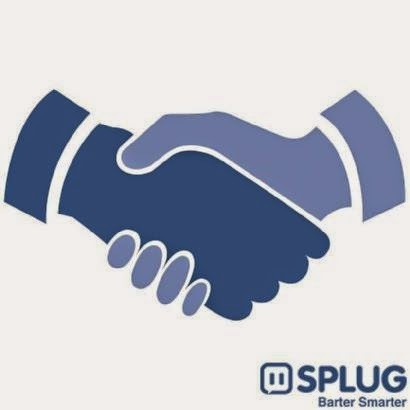 Mark Klein (Founder/CEO) and Mike Saffert (Senior Product Manager) are two of the main players involved in launching the new barter website, Splug.com. Mark was in charge of video promotion and post-production at Epic Records in the days of Michael Jackson, Gloria Estefan, Oasis, and many others. He then went on to start a successful music promotion company and then DXagency, one of the very first all-digital engagement firms in the country. After years touring and releasing albums with his band Hidden In Plain View, Mike eventually found himself joining the team in DX's accounts department. Mike is huge into vinyl trading and has been known to make a barter or two for various breweriana. RB: What is the goal of Splug.com? MK: Actually the goal is for “Splug" to become a verb. Just like people “FedEx” or “eBay” something, we want them to say “I’ll Splug it” when they want to trade something with their friends. MS: There are a lot of sites out there where you can just trade one type of item like vinyl or video games. We wanted to create a community where you could trade anything for anything else, a guitar for a surfboard or therapeutic massages for accounting work. MK: Absolutely. We see house painters painting beach houses and then getting a free week’s seaside vacation. It’s all about the collaborative economy. People have fun trading with each other, particularly when they know they can trust their trading partners. RB: What does the name mean and where did it come from? MK: Great question. Splug is short for Social Plug. As society moves toward a cash less economy, we wanted to build a community where you could use social media to create a safe and trusted environment to barter for things you want. So “Splug’ was a catchy name that seemed to sum it all up. RB: Why should a user choose Splug over other retailers/vendors? MS: Well, to begin, Splug isn’t a retailer or a vendor. It’s a community made of collectors. And the urge to collect never goes away, even if your interests change. Everybody has lots of things in their closets they aren’t using or collecting any more, so Splug lets you peer in each other others closets and make great trades. It’s actually a pretty ‘green’ way of sharing still usable items. Tons of things can be recycled and find happy homes with new owners. MK: Not to mention, it’s fun. I’m a serious collector of pinball machines. After I had been collecting a while, I realized the hunt is always more fun than the kill. Locating what you want and then horse trading to make a great deal is really the fun part. RB: How is your site different, what will make it 'tick'? MK: Different from what? It’s pretty much different from everything else because it brings together people with common interests to trade things they really care about. Being able to share those interests in a trusted environment is what makes it tick. We use social sites as filters so you can determine who you feel comfortable Splugging with. Sites like Craigslist and even eBay have a lot of anonymity and uncertainty built in … you never really know who you’re dealing with. On Splug, you can trade with just your Facebook friends, friends or friends or everyone. You set your own level of trust. MS: Another great differentiator is that you can list ‘wants’ on Splug. If I’m looking for something special, I list it as a want. If you happen to have that certain something, you can search the ‘wants,' find me, and then send me a trade offer. RB: Will there be seller ratings? MS: Yes, you'll be able to give star ratings to users you conduct Splug trades with. RB: Who pays for shipping? MK: That’s part of the negotiation. A lot of the trades will likely be between local friends so the exchanges can take place in person. On long distance trades, the trading parties can work out the logistics using the instant messaging feature that is built right in to Splug to work out all the details. And to make it all very easy to use, we’re integrating one-click shipping. RB: How do you support/make right any problems between traders? MS: Splug is not actually a party to the trade, think of it more as a venue. But because of the social nature of the site, the Splug community will play a huge role. No one wants all of their friends to know they screwed someone in what was supposed to be a fair deal. MK: Plus, if you’re trading with a friend of a friend, you can 'pre-qualify’ your prospective trading partner by checking him out with your friend to make sure he’s a reliable and honest person that you would want to Splug with. RB: If a person doesn't have a FaceBook account, can they still participate on Splug? MK: Yes, we’re working on integrating direct Splug sign-up right now. Next up will be LinkedIn integration, which will be great for the business trading community, and then Google+. MS: Thanks for the opportunity to talk with you, Robert. Before we sign off, I want to let everyone know I’m really into collecting vinyl from The Bouncing Souls. If you have anything interesting, list it on Splug and I’ll be talking to you soon! For vinyl record collectors, Splug offers a way to trade unwanted or duplicate records in their collections - for records they have been searching for; all in a trusted social community. Try finding that at an online vinyl record vendor or a local record store. Finding and acquiring vinyl records has just moved into the 21st century with Splug! On a personal note, I want to thank Mark, Mike and John for their time, this new age vinyl social media club just may be what record collectors worldwide have been clamoring for. I am impressed by the easy to use platform (yes I have some record listed!) in which to post your records and the overall ease of use of the site. This is online crate digging at its finest, so come on over and start posting some records, it's fun and who knows, you just might find that record you have been searching for. But the phenomenal part of Splug, is that the site isn't limited to vinyl; you can trade for just about anything, opening up new avenues for collectors worldwide! 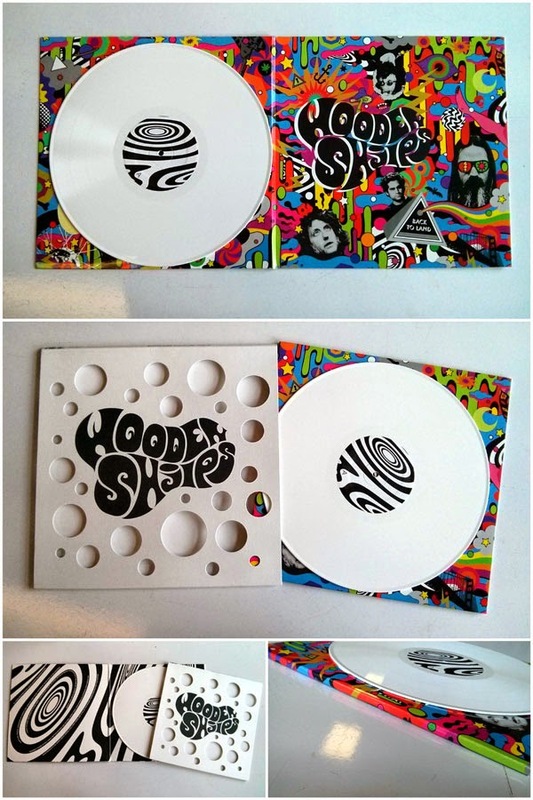 LP is packaged in a custom die-­-cut cover and inner sleeve with “peel and reveal” sticker insert. 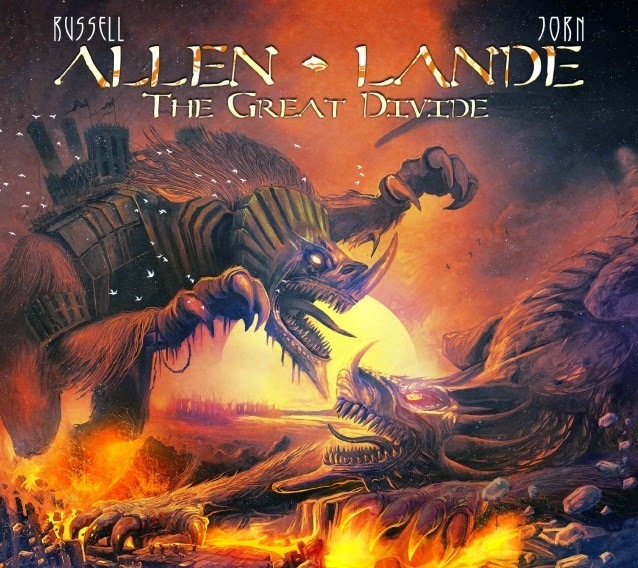 A digital download also included in the LP package. They certainly weren’t clear when twin brothers Amedeo and Simone Pace and Kazu Makino first found themselves playing and writing together back in the mid-­- 90s. At a time when the musical landscape was defined by the sullen, narcotic rage of grunge, and counterpointed by the purist, politicised undergrounds of Olympia, Washington and Washington DC, Blonde Redhead simply did not fit in anywhere. This indivisible trio of aliens -­- decorous, poetic, hermetic; dedicated to espresso and tea and a glass of red wine with dinner -­- were out of place in New York City, never mind the rest of America. It was only when, in 1997, they were invited to tour with Fugazi – who showed them a thing or two about being a band – that Blonde Redhead even saw the rest of the country where they had impulsively ended up living and working. Perversely, the experience helped to define them, and the long process of carving out a niche for their singular music began. And they’re still here. 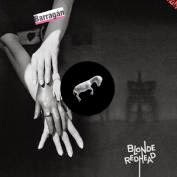 It’s almost too obvious to mention that Blonde Redhead have never made records for fame, or for money, or to ape their teenage heroes, or to indulge any of the dumb, ephemeral impulses that clog up the blogosphere with dumb, ephemeral music. They make music, simply, because they have to. Over 8 increasingly distinctive and assured albums, they have developed a sonic language of their own: rapt, wistful, plangent, with melodies coiling like smoke through thickets of whispering electronics, anchored by nuanced, sensual rhythms. The liquid grace of their output redeems and resolves the precarious circumstances of its creation. 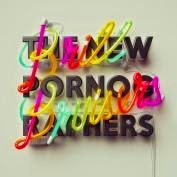 Brill Bruisers is the first new release in four years from the acclaimed supergroup the New Pornographers, who NPR called “virtually peerless in the world of power-pop and indie-rock.” Additionally, the New Yorker describes the band’s music as “magnificent and clever.” “This is a celebration record,” in the worlds of the lead-singer and main songwriter A.C. Newman, and that describes it perfectly – massively melodic, joyous pop music helmed by the soaring vocals of Neko Case, Dan Bejar and Newman himself. Comes with a download card! 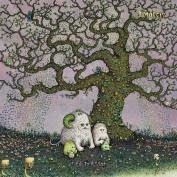 J Mascis' Tied to a Star is the follow up to his acclaimed Sub Pop debut Several Shades of Why. The album, led by the songs "Every Morning" and "Wide Awake," was recorded and produced by Mascis and mixed by John Agnello at Bisquiteen in Amherst, MA. Tied to a Star also features guest appearances from musicians Ken Maiuri (Young@Heart Chorus), Pall Jenkins (Black Heart Procession), Mark Mulcahy (Miracle Legion) and Chan Marshall (Cat Power). 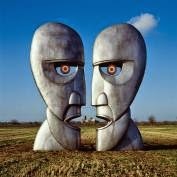 The Division Bell 20th Anniversary release will feature a new 2-LP 180-gram vinyl edition of the album, remastered by Doug Sax at The Mastering Lab from the original analogue tapes, including all the full length tracks (originally edited to fit on a single LP) in a gatefold sleeve designed by Hipgnosis/StormStudios. 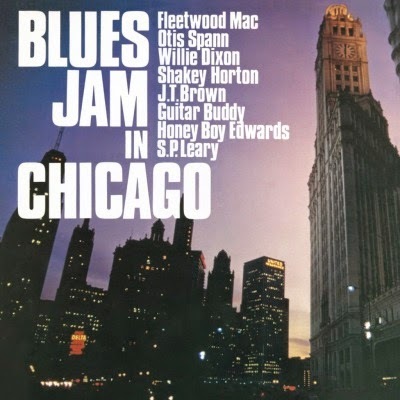 Newly re-issued on 180 gram vinyl! An intense spectacle even on record, this rather large ensemble hailing from Montreal is on a mission. Prepare to get caught up in it all! Look out below indeed...The Arcade Fire bring a theatricality, an intensity, an insanity, and a penchant for amazing hooks to their debut full-length release, "Funeral." You have never heard such energy, such beauty, and such emotion from such a young band. 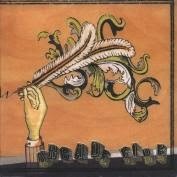 Fans of Neutral Milk Hotel, Broken Social Scene, and Roxy Music's first two albums will have a new favorite band, The Arcade Fire! 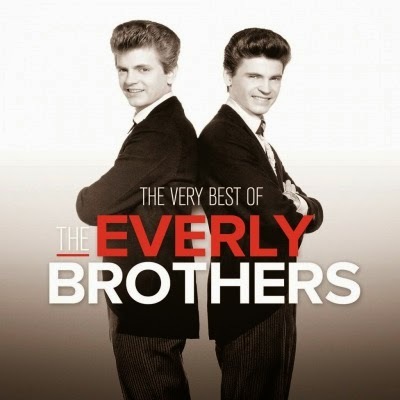 The Very Best Of The Everly Brothers is a reminder to all of us as to what exactly constitutes real music. Hearing the duo's impeccable harmonies and the way that their voices intertwine on hits like "Cathy's Clown", "Bye Bye Love", "Devoted To You" and "All I Have To Do Is Dream" are enough to bring a person to tears. This 31-track collection on a double LP serves to remind us that The Everly Brothers were indeed one of a kind. We are beyond lucky to have this music to remember them. Brand new compilation, on vinyl for the first time! The Gentle Giant is an great Souljazz album by multi-instrumentalist Yusef Lateef recorded in 1970 and 1971. Backing up Lateef are seasoned Jazz players like Eric Gale, Chuck Rainey, Albert Heath and Ray Bryant, guaranteing a well defined album that offers an insight in his unique musicianship with a small ensemble of focused and singular-minded players. At a time when funk and fusion were merging with the intensely volatile and distrustful mood of the U.S., Lateef's brand of Detroit Soul evolved from his earlier Hard Bop Jazz and World music innovations. 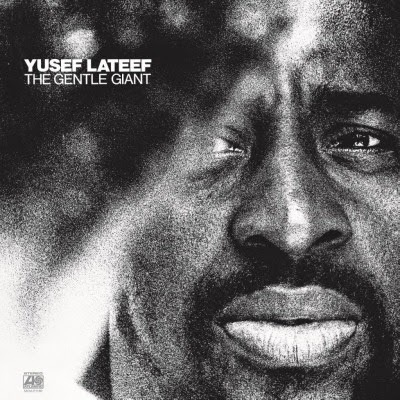 The Gentle Giant is an appropriate title, as Lateef's levitational flute looms large over the Rhythm & Blues beats central to the equation. Kenny Barron's Fender Rhodes electric piano is also a sign of the times. After two critically beloved records on Seventh Rule and Profound Lore ATRIARCH make their Relapse debut with their finest moment yet. Blending death rock, doom, black metal, punk and psychedelic drone/noise ATRIARCH immediately establish themselves as one of the most creative and compelling heavy-music bands of the 21st century. 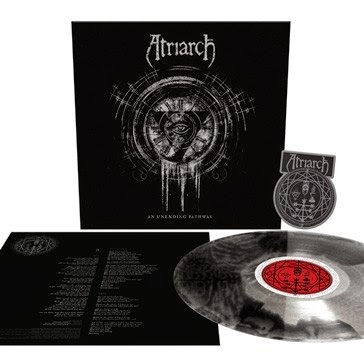 Imagine Bauhaus as covered by Eyehategod, or Sisters of Mercy filtered through Neurosis, and you start to get the picture of what ATRIARCH has achieved on their new record. Once every few years a band comes along that takes the familiar and creates something wholly new. ATRIARCH have done just that with An Unending Pathway. 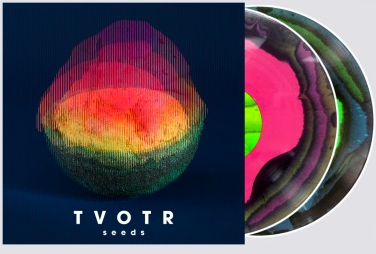 TV On the Radio will release their new album, Seeds, November 18th on Harvest Records. The band’s new single “Happy Idiot” ignites a hearty introduction to Seeds, catapulting out of the gate with an earnestly frenetic beat over a sweet sweet chorus of resignation. One thing that remains a constant with TV on the Radio is that there is no constant, and one curveball trounces another on Seeds. When you pre-order Seeds through the band's official online store, you will unlock unique presale codes that will give you the first chance at buying tickets for the fall club dates, starting Wednesday, September 3rd at 10AM local time. All pre-orders will unlock an instant download of "Happy Idiot." To celebrate Clerks 20th anniversary the soundtrack will be pressed to vinyl for the first time ever! 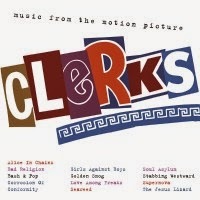 Clerks is the 1994 soundtrack album to the film of the same name. The soundtrack features alternative rock songs performed by various artists, as well as audio clips from the film. Famously, the cost of licensing the songs on the soundtrack cost more than the film cost to make. - Available on vinyl for the first time. 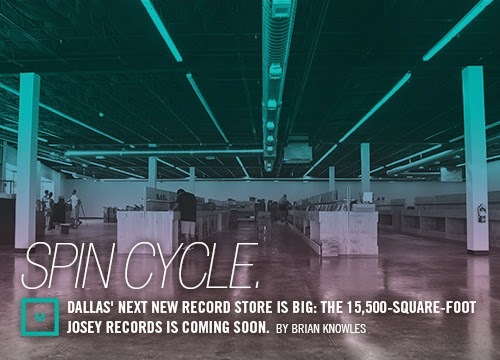 Spin Cycle - Dallas' Next New Record Store Is Big: The 15,500-Square-Foot Josey Records Is Coming Soon.